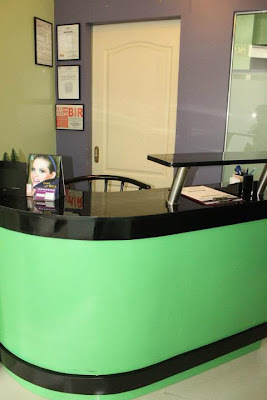 I learned about Chic Smile Dental Clinic through their Twangoo promo. Booking was a breeze. They were considerate when I had to rebook at the last minute because I had allergies on the day of my visit. The deal included professional teeth cleaning (also called oral prophylaxis), fluoride treatment, and dental examination. Oral prophylaxis involves cleaning and polishing the teeth to remove plaque and tartar, prevent tooth decay, and visibly reduce stains. I communicated with Chic Smile via text messages. They replied promptly and were always polite and professional. I appreciated that, because I had encountered several merchants who put landline and cellphone numbers on the deal's terms yet when I texted them, they never replied. 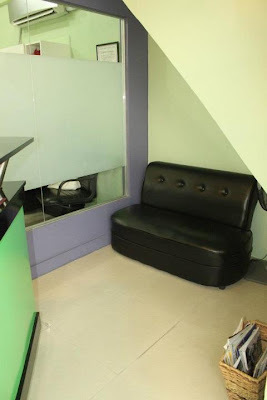 The clinic was not that big, but it was clean and cosy, with a simple yet modern design. The treatment room was spacious, well-lit, and also modern-looking. The dental equipment looked up-to-date. The dentist was a pretty young lady named Loren. She spoke softly and was very accommodating. She answered all my questions without a hint of impatience and was not preachy. What I liked most about Doc Loren was that she did not try to sell (or upsell) me stuff or treatment, even when I asked her about braces, waterpik, and tooth extractions. 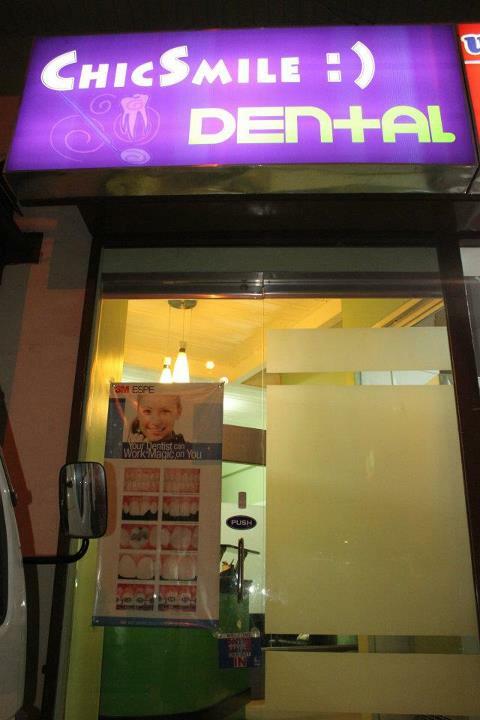 Before Chic Smile, my last visit was to a dentist in Manila two years ago. That time, I also liked the dentist but I did not like his co-dentist since the co-dentist asked me to show her my teeth (I found that intrusive and embarrassing), pressured me to get braces right away, and told me to have my boyfriend pay for the braces just because she learned that he was working for a TV network. Sheez! Anyway, I was glad that with Doc Loren, I didn't have to avoid an annoying co-dentist and I could ask questions without worrying that I would be bombarded with offers. Thus, I was more relaxed during my treatment. I normally dislike going to doctors and I especially fear dentists, but I had a comfortable time at Chic Smile. I recommend this dental clinic. 135 N.S. Amoranto Sr. Ave. corner Isarog St.
Brushing your teeth is one of the easiest ways to help prevent gum and dental diseases. Use a soft toothbrush and a gentle, circular, massaging motion at least three times daily. An effective brushing should last 2-3 minutes. 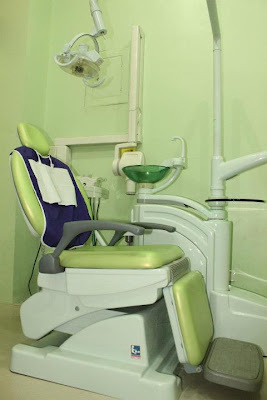 Tooth brushing is not enough to prevent gum desease and dental desease.A regular visit to a Dentist for check up and oral prophylaxis in needed. Failipino people usually ignored the Dentist,sad but it is true, most have money for beauty product and cellphone but no budget for a oral prophylaxis. Being a dentist I feel sorry for their teeth that will end up to tooth extraction instead of being saved through regular visit to the dentist. Hay very true Tess. Very true. I have my regrets for not visiting the dentist regularly as I was growing up. I used to hate dentists. I am not really afraid of them but sometimes the procedure really stresses me out. Good thing I found the most kind dentist in the world, I've been regularly visiting her for 3 years now and I'm so satisfied. I hope this visit to the dentist would become a regular habit of yours. My dentist once recommended to me to visit her before my birthday so that I wouldn't forget showing my teeth some love. Like you I have a dentist who became my favorite. But unlike that very cozy clinic, my dentist only owns a small space which she owns. And that's very nice of you put every contact details of them. Well, you were really satisfied. That's something that rarely happens now and I'm happy for you! I like dentists too who would pacify your stress, during tooth extraction, ex. when they say, "dahan dahan lang", "madali lang to".. and yes those who would just be concerned about your teeth! I had braces before kasi kaya very important in good terms with the dentist! matagal tagal na samahan un e hehe -good you found yours! Wow I don't wanna sound like an idiot, but seriously why are dentists still advocating flouride? Flouride is overhyped and so wrong for the body. And these dentists are milking us in every way they could regardless of the health risks the patients will have to pay for at the end of the day. This is so wrong. Sorry but I got to spill the beans. Fluoride is a controversial topic I guess. There are also people who oppose fluoride in tap water. I hope there will be a consensus about it soon. There are many dentists around but to find one whom you can be comfortable with is a rare opportunity. Good for you, you're able to find one. I also have a dentist I regularly/seldom :D visit for 5 years now. Glad you found a good dentist. Some just have nice, impressive clinics but the service is really poor! The waiting area is a bit small, but the treatment room was ok.
oh that's a nice place . Their service is impressive. Probably, their motto is service above self! how much would a general teeth cleaning cost nowadays? How about teeth whitening? It really depends on the dentist and the location of the clinic. The one I had was priced P1400 (including the fluoride treatment and the dental exam) but I paid P399 since I availed the promo. Cosmetic dentistry may also provide remedial benefits. For example, dental fillings are a common procedure used to treat decayed teeth. Previously, most dental fillings were all white 3000 composed of gold, amalgam and other materials that left visible dark stains on the teeth.